FRP forms provide an excellent structural design for projects that require wide column centering. 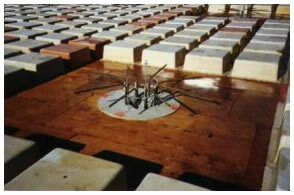 Reduced dead weight of the structure is achieved by the use of these FRP forms due to the voids created by them in the slab. 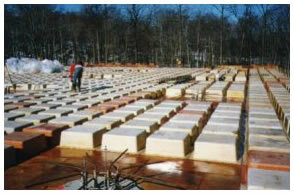 After the concrete has attained the design strength, these forms are removed, cleaned, oiled and reused. The area around the round column is solid concrete and serves as a shear head. SCI provided the round FRP column forms, the FRP dome forms, and the entire formwork & falsework for the construction of this project.